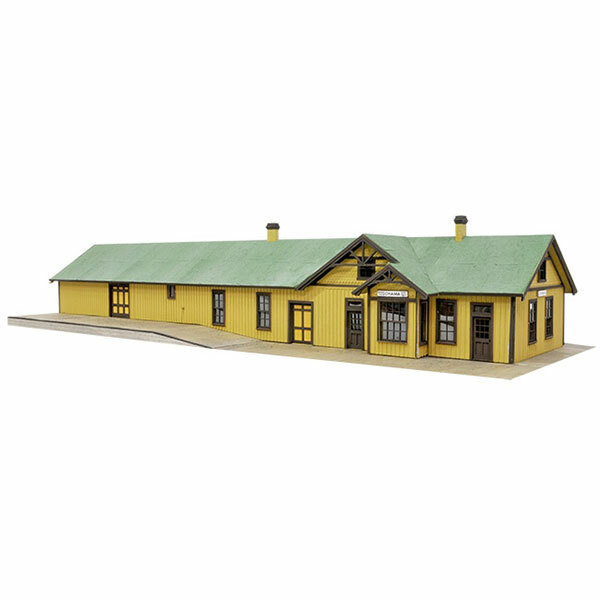 HO scale Chama Depot model kit includes laser-cut plywood and basswood components, simulated tar paper roofing material and signs. Made in the U.S.A. by Banta Modelworks, no. 2098. Footprint: 6-1/4 inches x 17-3/4 inches.